Scale 1:24; 7 1/2" in length. 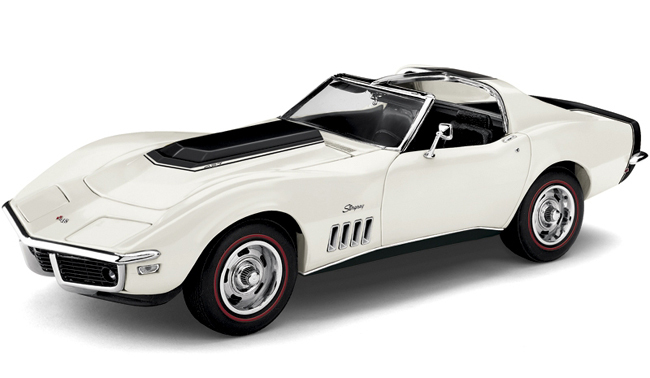 The ZL-1 is the rarest Corvette of all time, with only two sold to the public---and we have replicas of both! Built strictly for racing, the ZL-1 came with an explosively powerful techno- logical wonder of an engine. Our replicas show this monstrous 427 cubic inch L88 engine that churned out well above the factory claim of 430 horsepower. Each replica also features removable T-tops, a functioning suspension and "pop-up" headlights.